I was lucky to have been introduced to Kathy Karas-Pasciucco. Kathy is a very professional and diligent lawyer who is also very caring and personable. Kathy put 110% of her energy into guiding me through my divorce. One of her main concerns throughout this tedious process was the well being of my young children. She knew that the upheaval to our family dynamic was even more devastating for them. Her compassion and guidance helped us all throughout the divorce. Kathy prepared me for each phase of my divorce very thoroughly. Kathy was on top of my case at all times by taking my calls and emails, or returning them in a very timely manner. Kathy gave me the confidence to walk into the courtroom and put my future into her hands. She shows nothing short of the utmost respect for the court and for the law. She showed her love for the law. With Kathy's representation, we were victorious on each of the three separate occasions we went to court. Kathy helped me shape the future for myself and my children. There are truly not enough words to adequately express my gratitude and ongoing thanks for Kathy Karas-Pasciucco. I met Kathy in September of 2012 and requested (well...demanded) “a quick divorce for not a lot of money that would keep me and my kids together.” It is a gross understatement to say that Kathy not only graciously took on my case, but somehow managed to deliver on my hastily dealt and wildly unrealistic demands. She had me divorced with the majority of my wish-list complete by January 2013. How she did it (even why she did it!) remains a mystery to me but I can tell you this. She did it and continues to do it to this very day because she loves it; loves it in a way that every elementary school kid at career day imagines loving what they will do when they grow up. Kathy considers every case personal. She becomes the person who she is fighting for. She really and truly listens to the grief that is inherent in divorce, to the fears that accompany breaking up a family, and to the wishes and dreams of the future for those with a past. She does all this with a meticulous and unapologetic deference to the law, the details of which she knows to a fault. Kathy simultaneously manages to translate this learned field into a language that those of us who are not legal can understand and appreciate. She does so with humor, with kindness, and with a fighting spirit that belies her diminutive 5 foot frame. Since my divorce was finalized, I have continued to communicate with Kathy on a regular basis. She has continued to prove herself to be a priceless resource with respect to parenting issues, raising kids, managing a challenging ex-spouse, and more. In addition to her experience in Family Law, Kathy has graciously assisted with employment, financial, and housing issues. Kathy Karas-Pasciucco is not just another attorney. She is a brilliantly talented, tirelessly committed woman with a fierce sense of humor and a fighting spirit. I am enormously proud to call her my friend. Kathy Karas made a very difficult divorce situation as painless as possible. She was supportive and so knowledgeable. She was patient and explained everything to me and prepared me for every step of the way. I felt confident that she was the person to represent me, my interest and the best interests of my children from the moment I met her and I was never disappointed. Either she or her assistant, Billie Jo, were always available to respond to any question I had. I highly recommend Kathy and I am exceptionally pleased with the outcome of my divorce case. I cannot thank Kathy Karas-Pasciucco enough for her time, dedication, and commitment to my case. Going through a divorce is a painful process. I felt extremely supported and validated as her client. May I also mention, Kathy is exceptionally gifted at commanding a courtroom. Her presence cannot be denied. Kathy is bold and will fight the fight with you every step of the way. So grateful she was my voice throughout this process. I needed her and she delivered. Hands down- Kathy is the best investment I ever made. Kathy Karas-Pasciucco is an attorney of unmatched devotion, intelligence, wit, and compassion. She is sympathetic yet realistic, an unparalleled legal mind and a pitbull in the courtroom, quickly responsive and thorough, and the reason I have stayed sane over the last 5 years. I recommend her with wholehearted enthusiasm and am privileged to thank her on this public forum with my sincerest gratitude. Ms. Karas-Pasciucco is my divorce attorney. Though my divorce issues are complicated and difficult, Ms. Karas-Pasciucco and her assistant have kept me well informed and at ease. She is knowledgeable and always with my and my children's best interests in mind. I would recommend her to anyone struggling in a family law case. 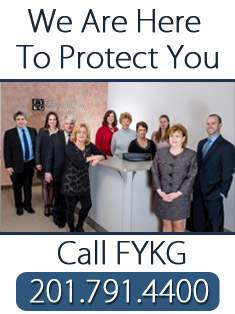 If you want an experience of outstanding client service, you must use Feitlin, Youngman, Karas & Gerson, LLC. I turned to Kathy Karas to assist me with my proceedings. Kathy's responsiveness, knowledge and authenticity during a complex divorce case kept me stable and successful. Kathy and her team were always engaged when needed and always made good value of my retainer by utilizing the right staff member for the right task. I always felt that my needs were met and that the firm was invested in me and my case. They were easily accessible, got back to me quickly, aggressive and got me the results that I wanted.